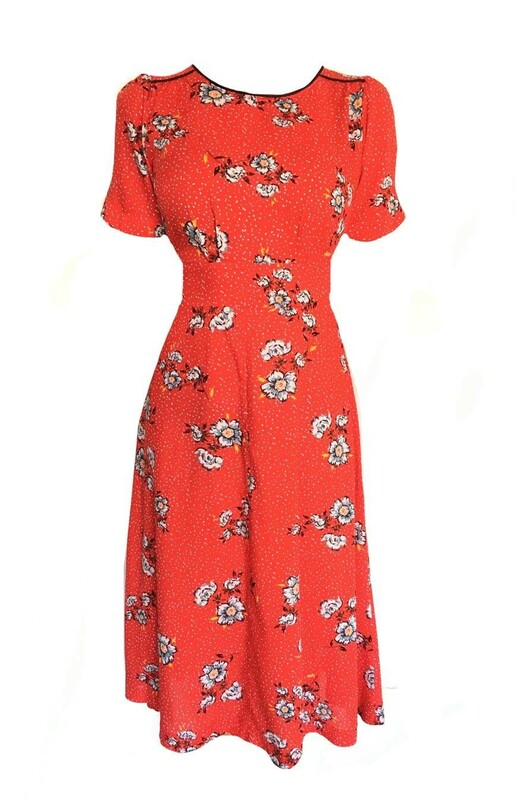 - Midi length tea dress in red and white polka dot print with violet and white floral motif (all the pretty). - Loose fit skirt (skip if you must). - Slim fit bodice to compliment. - High neckline with black piping. - Loose t-shirt style sleeves. - 100% Rayon (not crayon).